Bettina Lee teaches students who are too sick to attend traditional school. 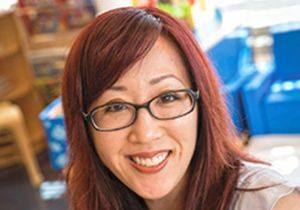 Bettina Lee is doing everything she can to ensure that no sick child gets left behind: She serves as a one-woman classroom, teacher and mentor to patients at Mattel Children’s Hospital UCLA. 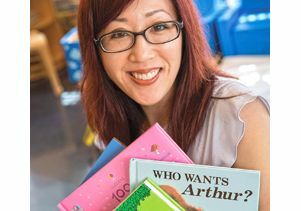 Tiffani Quach, a senior editor with UCLA Health Systems, talked with Lee about her work for this story, adapted from the original in UCLA Health Employee News. What is your role at UCLA? I’m a hospital school teacher assigned to work at Mattel Children’s Hospital through my employer, the Carlson Home Hospital School, which is a part of the Los Angeles Unified School District. Mattel is one of only two hospitals in L.A. County that has an on-site school teacher backed by a school district. I have a master’s degree in special education and have been teaching for more than 15 years — six of them at UCLA. It’s my job to help my students get the education they need in order to graduate high school on time. Children who have chronic conditions like cancer or cystic fibrosis can very quickly fall behind in their education because they miss a lot of school. How do you work as a teacher in the middle of a hospital? My classrooms are wherever the children are: hospital rooms, the playroom, the clinic, etc. I work one-on-one with kindergarten through 12th-grade students, who receive one hour of daily classroom instruction Monday through Friday on a variety of subjects, including history, language arts and math. The credits they receive from these courses become part of their transcripts, which helps them get into college. My students are so driven to get an education. They want the normalcy of attending school just like their peers. They want that sense of accomplishment that comes with getting a high school diploma, with being able to say, “I’m a high school graduate.” One of the best parts of my job is helping them get closer to reaching that goal. It’s rewarding to see a child graduate. We hold graduation ceremonies at the hospital, complete with cap and gown and a speech from our school’s principal. It’s a major milestone in a child’s life and their family’s. On average, I have about eight to 10 students enrolled in school with me at any given time. Since the hospital averages nearly 70 pediatric inpatients, the majority of children who are here are missing out on valuable classroom instruction and falling further behind their peers. But enrollment at the Carlson Home Hospital School can be complicated. A child must be expected to miss a minimum of 10 school days while in the hospital. In addition, parents must dis-enroll the child from his or her current school and then enroll them at Carlson. There’s no guarantee that the former school will hold a child’s spot until his or her return, especially if it’s a private or charter school, so many parents, understandably, are hesitant to take this step. The application process is also quite stringent. Another challenge is working with kids who are in the hospital for a week, then home for a couple of weeks, and then back in the hospital again. With so much shuttling back and forth, they’re never able to get into a good rhythm with a homeschool instructor or with me. It’s almost impossible for them to graduate on time. Outside of teaching here, how do you spend your time? 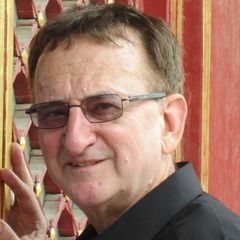 I’m currently pursuing a doctorate in educational leadership and social justice. I’d like to influence changes in education laws to make it easier for children with long-term illnesses to acquire an education. Also, since I can’t reach every pediatric patient through the hospital program, I started a nonprofit organization called Fors Humanitas that extends help to patients after they’ve been discharged. The organization is composed of educators and medical professionals who offer mentoring, tutoring, consulting and financial assistance to children and adults who are struggling to achieve their educational and professional goals. The people we help tend to be at-risk youths, single parents, the underprivileged or people who are dealing with serious health issues like cancer. Anyone who would like to learn more can visit forshumanitas.org. Mattel Children's Hospital teacher Bettina Lee. Bettina Lee, a hospital school teacher assigned to work at Mattel Children’s Hospital.